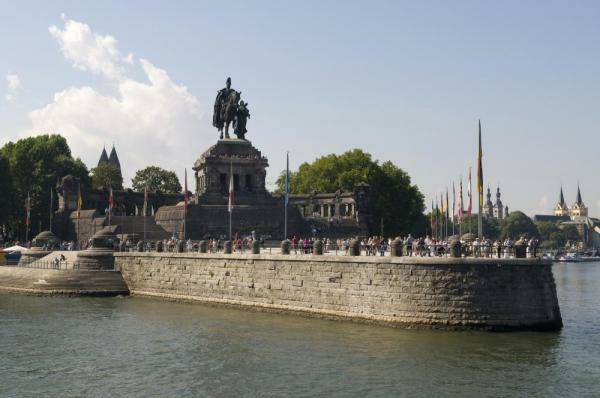 Explore the beloved Rhine River in this 9-day unique cruise voyage. Sailing between France, Germany, the Netherlands, and Switzerland, this cruise allows you to explore cultural villages, local towns, and view the stunning scenery lining the Rhine. Begin in Basel and end in Amsterdam, disembarking daily for optional excursions, free leisure time, and tasting Europe's exceptional cuisine. Board the MS Lafayette in the evening and settle in to your cabin. Attend a welcome cocktail to familiarize yourself with the ship and her crew, then relax on board as you set sail and enjoy dinner. Enjoy breakfast on board before joining a guided tour of Basel, a medieval old town situated at the heart of Europe on both banks of the Rhine. In the afternoon, enjoy an excursion to the Rhine Falls. The Rhine Falls are among the most spectacular sites to visit in Switzerland. Return by coach to the ship and eat dinner on board as the ship sails to Breisach. Get off the ship after breakfast for a free morning in Breisach, an "European" city of the edges of the Rhine, dominated by the collegiate church St Etienne. In the afternoon, trip to Titisee, a charming and inescapable place in Black Forest. Return on board in Breisach for an evening of entertainment on board. This moring cruise to Strasbourg on the Rhine River, admiring the magnificent wine-growing region. In the afternoon, join a guided tour of Strasbourg, the European capital. Visit the German quarter located around the famous Place de la République and the European quarter's Palace of Europe, the European Court of Humans Rights, the European Parliament, the Cathedral, and the Petite France quarter, listed as UNESCO World Heritage site since 1988. Return on board for an evening of dancing and entertainment. The ship departs during the night towards Mainz. 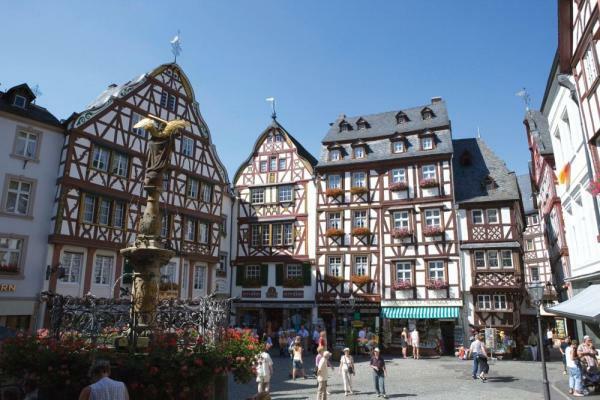 Arrive in Mainz and join an optional guided tour of the city and the Gutenberg Museum. Admire the magnificent, historical houses which have been outstandingly well-restored. The Gutenberg Museum, is a world-famous museum of book printing houses two copies of the Gutenberg Bible, the first major book printed with movable type in the West. Return on board and cruise towards Koblenz. Listed as a UNESCO World Heritage Site since 2002, the legendary and romantic Rhine River is bestowed with truly magnificent landscapes. Pass the legendary Lorelei rock, named after a beautiful young maiden who, according to German legend, threw herself into the river in despair over a faithless lover and was transformed into a siren. Arrival in Koblenz during the evening. Set off on your own or join your assistant for a tour of the city. 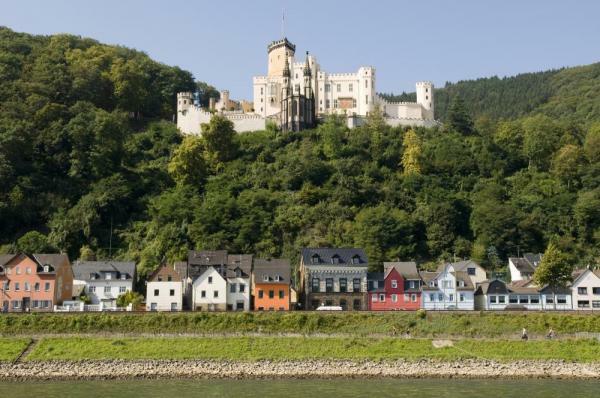 Follow the remarkable route of the Rhine as you meander between sheer rocks, past small islands and fortified castles. Arrive in Cologne and enjoy lunch on board before leaving for an optional guided tour of the city. At the crossroads of Europe since the Middle Ages, Cologne has kept its importance as a vibrant commercial and industrial city, as well as a cultural and religious center. Admire the exterior facades of the magnificent Gothic Cologne Cathedral, which took over 500 years to complete. The twelve Romanesque churches of Cologne in the old city are also among the most famous local attractions. Stop to admire the outside of the famous Eau de Cologne neo-Gothic building, then enjoy some free time on your own before you travel by coach to Dusseldorf and return on board for a gala evening. This morning get off the ship for a guided tour of the Dutch Open Air Museum of Arnhem. Return on board in Xanten and cruise to Amsterdam during the afternoon. Cross the border into Germany near Emmerich, and enter Holland. Arrive in Amsterdam during the night. 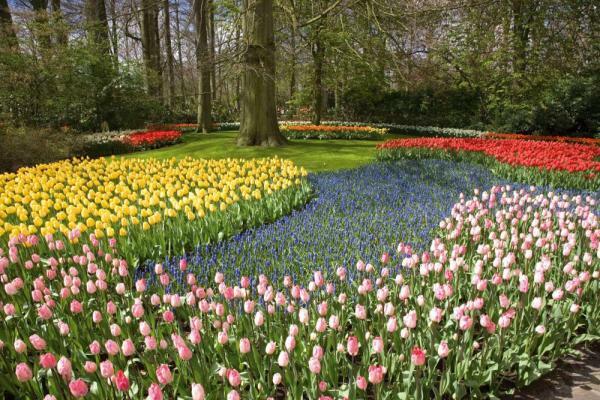 Enjoy breakfast on board and set off on an optional guided visit of Amsterdam. 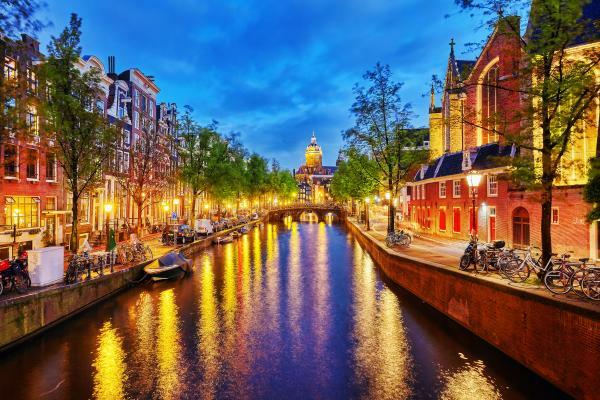 The Dutch capital is a delightful city with a rich and fascinating past. The city is known as the Venice of the North due to its network of canals. In the afternoon, spend some time exploring on your own or join an optional excursion to Haarlem. Dutch Haarlem dates back to Gothic times and this is reflected in its architecture and cobbled streets. Return to the ship for dinner and an evening of dancing and entertainment. Enjoy an early buffet breakfast on board and disembark around 9.00 am. The MS Lafayette is a sleek river cruise ship which sails Europe's beloved Rhine. Her small size (accommodating just 82 passengers) and relaxing atmosphere make for an intimate experience. Each room features a large out-facing window and en-suite facilities, and the ship's amenities include a lounge & bar, dining area, and an ample sun deck. 29 cabins (27 double-occupancy cabins, 2 single cabins). 14 cabins with large picture windows (11 double-occupancy cabins, 2 single cabins, 1 cabin for persons with disabilities).